Stupid is nothing new... of the day! 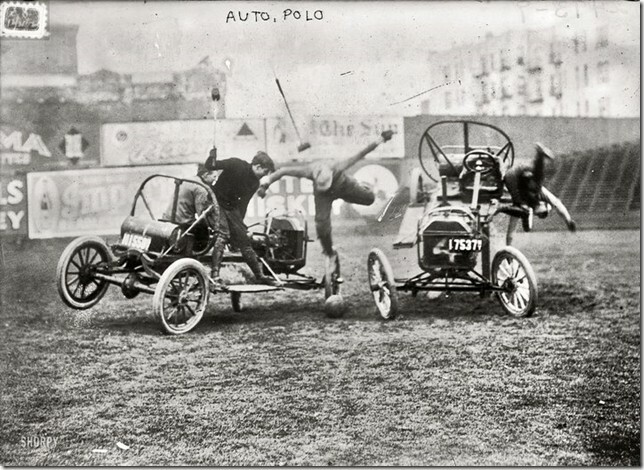 Auto Polo, because riding horses is DANGEROUS! Cheers to all the people who are looking at this image and thinking to themselves how much freakin' fun it would be to try!